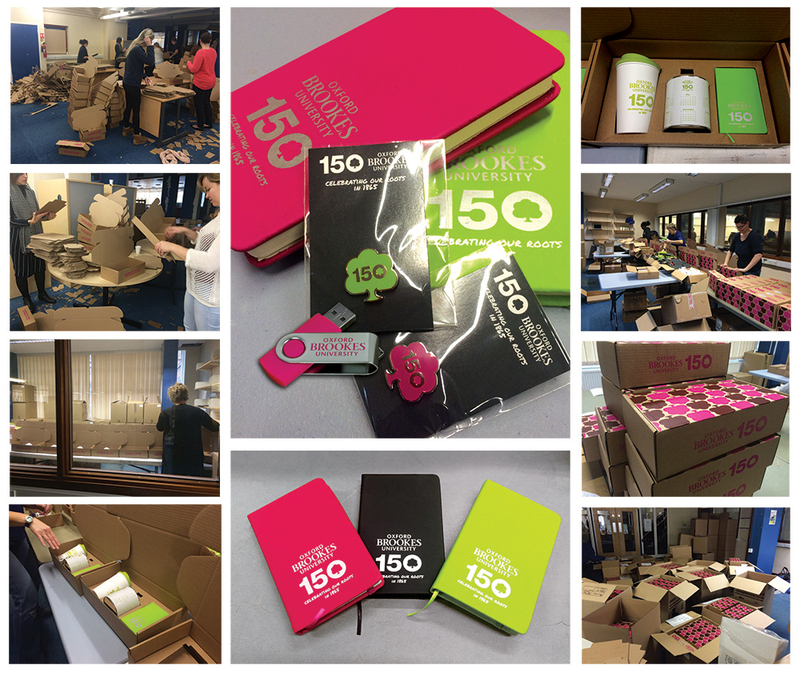 For their 150th birthday celebrations, Oxford Brookes University asked us to produce a selection of commemorative badges, handy soft feel notebooks, funky Americano mugs, all collated into bespoke boxes. One of Ciarra's favourite promotional products, the paint tine style pen pot containing jelly beans, were chosen and we produced them in five working days from artwork approval. The university took our creative suggestion of making this popular promotional desktop item practical by adding a calendar to the artwork.